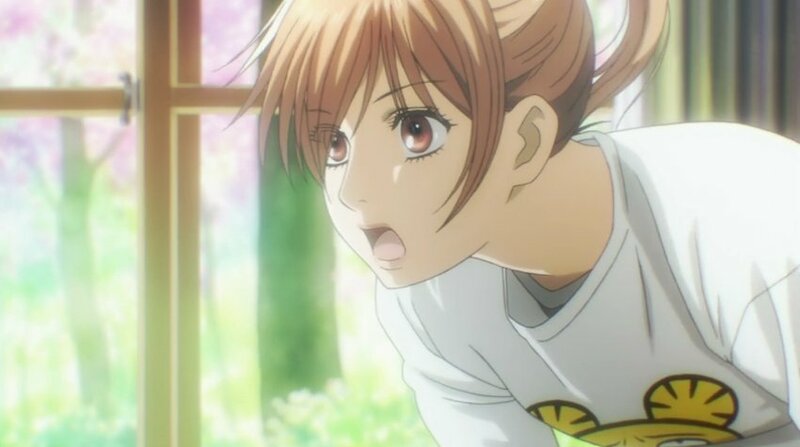 The second season of Chihayafuru embarks on an auspicious start. Faster than Chihaya’s speed, the premier episode covers incredible ground in foreshadowing the conflicts of visions, ambitions and romance but it is the manner in which these loaded subjects are handled that enables it to rise above other shows in recent and intermediate history. Recruiting new members will serve as the primary driver of the plot but like a decadent cake, multiple layers await the viewer. We are treated to a delightful first layer. Veiled as a plot device, the future of the club reveals the differing priorities of each member. If conflict makes for excellent stories, it follows that five conflicts should culminate in fireworks! The next layer gets richer. Does greed qualify as an adjective for ambition? What does it mean to be overly ambitious? Chihaya, true to character, wants to have the cake, eat it and have another or ten more. Her genuine demeanor conjures a hopeful atmosphere of promises. In this light, ambition seems relative and dependent upon context. We feel ready to cheer her on. Taichi makes a controversial statement speaking with Sumire-chan in their first encounter. Gender roles aside, there’s an inherent prejudice implied in his method of selection. Then again, there’s a quagmire of implications at work here. Likewise, I have reservations about her resolve. “Let’s love each other brutally and honestly, and not worry about the consequences.” Ryan O’Connell urges us. Reckless love tends to wreck things. A fundamental ingredient of love is respect for each other. I realize this contradicts the image of love. Love doesn’t make sense by definition. I despise lovers who question my logic for loving them. Love consumes and conquers all for better or worse. But there are lines that one should not cross. Because once you go too far, your love ceases to be loving. It becomes harmful. It’s indecent. That said, it’s not often that girls actively pursue boys. I eagerly look forward to this unfolding. Of course, the love rectangle that this creates also adds greatly to the appeal of the show. It’s easy to see that with so much going on, pacing feels brisk and entertaining. Humor also hasn’t lost its touch from the first season. There is one huge disappointment. Well, two actually. Neither the opening nor ending song grabs me. In fact, the intro feels like it’s trying to duplicate its predecessor which never, ever works. Witness Time of Your Life then Wake Me Up When September Ends or On My Shoulders then Gonna Be Sick! Hopefully they will grow on me with repeated listens. Finally, WHERE’S ARATA!? That said, I am certain his delayed entrance will only make it that much more special and heartmaking. If there’s only one show you’re watching this season or year, definitely make it Chihayafuru. It may seem premature but it will be the best anime of the year. Oh Yes, I agree with new OP and ED. They aren’t as catchy as the first season. But Loli-kyonyuu Kana-chan’s that thing is still awesome, which automatically forgives them all! This new character, Sumire, she’s really conceited, so annoying, typical shoujo vixen. But it would be interesting to see whether she becomes a successor of the karta club. She has an ability to feel the poem. I think the 1st epi of the 2nd season was a good start. Yes, very promising first episode. Since Taichi is a bishie, he attracts many girls ; who go and confess to him. Up till now his girlfriends were girls that asked him out, were ‘ok’, but for which he didn’t feel anything at all. So, when he says he’ll be the one choosing his girl, he wants to subverse the situation and be honest and dedicated to his partner, too. I don’t think there are sexist streaks in his statement. 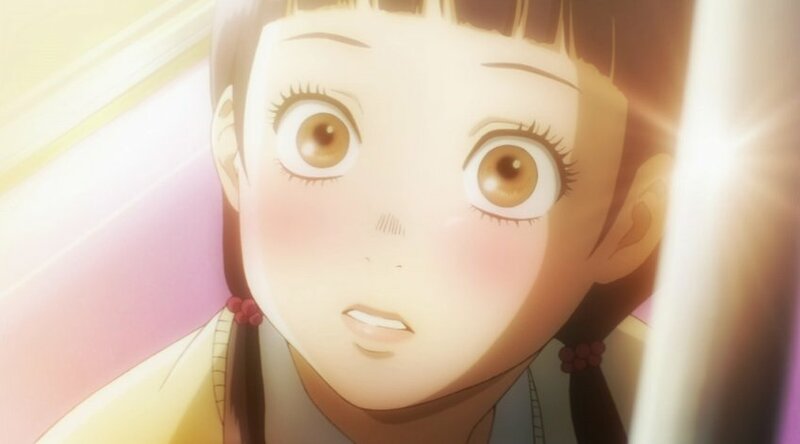 But if we talk about Sumire, she’s just one rude girl who pursues empty love and sees love as a trophy. I really hope Chihaya and Kana-chan can show her she can have better ambitions in life or at least better priorities (and not treat people like scum). Looking forward to moooooore. Everything we loved is here. While laudable, to shun the love of another without context is discrimination. I am referring to Taichi actually.